This is part one of our limited series on the 1925 Serum Run. 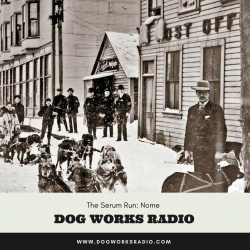 On this first episode, our host, Alex Stein tells the story of the gold rush village of Nome, Alaska in it’s heyday and up to the point when in 1925 they were in the thralls of a diphtheria epidemic and needed help fast. In those days, airplanes were still relatively new and unreliable, especially in the extreme cold weather of the north. They needed to find a way to get the life saving serum to Nome and do it fast so they decided on a relay race by dog team. 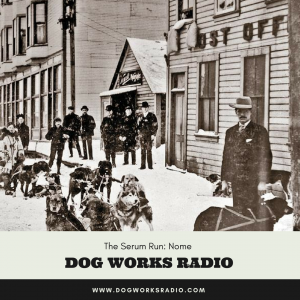 I am sure you know at least some of the story but we are excited to bring you our first ever long-form story on Mushing Radio, The 1925 Serum Run! Episodes will air every Saturday for the next 10 weeks or so, please do us a favor and subscribe to our show and you will never miss an episode, and please tell us what you think of the show and tell your friends as about it too!